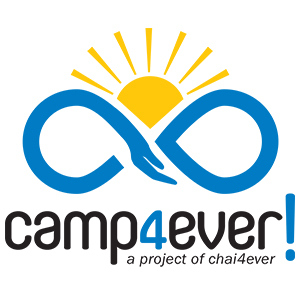 I'm really excited that I joined Raise4ever in support of Camp4ever! My goal is to raise $50000 to send children with sick parents to camp. Children with a seriously ill parent have it rough. They deal with the realities of disease on a daily basis. They live with a constant fear of Mommy or Daddy leaving them. They need to act like adults in helping their parents cope. These children need the break that summer camp provides, and the chance to laugh, run and play like "normal" children. Their parent's catastrophic illness and the resulting financial distress leaves families unable to afford summer camp, just when it is needed most. This unique camp program gives these kids a reprieve from a challenging home situation, restores their spirits and renews their strength to persevere! I am determined to ensure that every child that can benefit from Camp4ever! 's program will have the opportunity to do so. My objective is to raise $50000 to enable these children to go to camp and I hope you will help me reach this goal. All donations are 100% tax deductible. Please join me by clicking on the donate button now. Thank you for supporting my efforts on behalf of families fighting cancer and other serious illnesses.